New Ohio State Head Coach Ryan Day assembled the No. 15 recruiting class in the country for 2019, which is by far the highest-rated class of the 26 FBS schools that hired a new coach this offseason, according to the 247Sports Composite rankings as of 5 p.m. ET on National Signing Day. The Buckeyes are the only one of those schools that rank in the top 25 nationally, and only six of the 26 schools even have a class that ranks in the top 50. Ohio State is also among the schools with first-year coaches that took a significant step back from their 2018 recruiting class rankings, which isn’t uncommon for first-year head coaches. 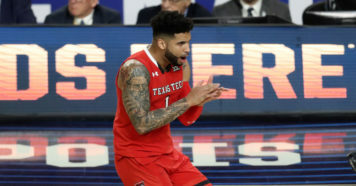 Seventeen of the 26 schools with a first-year coach have a lower ranking for their 2019 recruiting classes than their 2018 classes and 12 of them are ranked at least 10 spots worse. 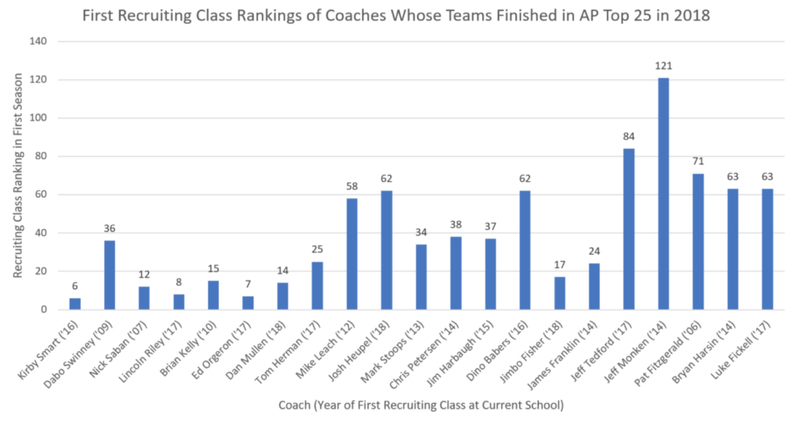 Here’s a look at how top-100 recruiting classes at schools with first-year head coaches compare to the schools’ 2018 recruiting classes. Negative bars indicate a decrease in ranking in the 247Sports Composite rankings from last season and positive bars indicate an improved recruiting class ranking from 2018 to 2019. Here’s the complete list of schools with first-year coaches, listed in order of their 2019 recruiting class rankings as of the conclusion of Wednesday’s National Signing Day, according to the 247Sports Composite rankings. 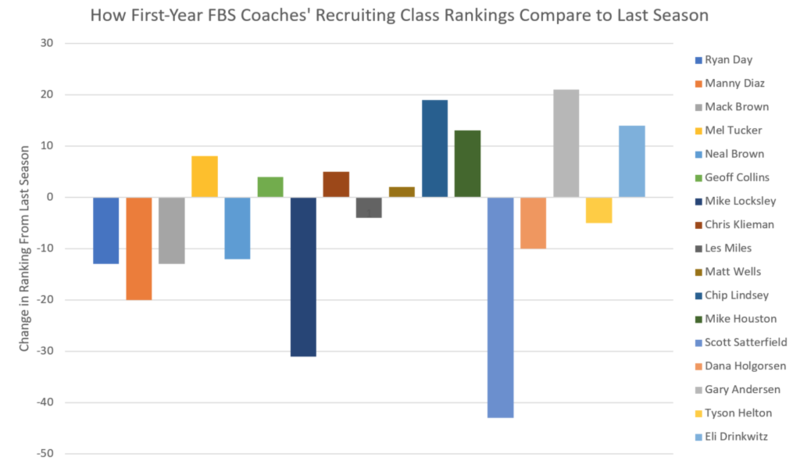 Here’s how the recruiting hauls assembled by this year’s crop of first-year coaches compare to the first-year recruiting class rankings of coaches whose schools finished the season in the final AP Top 25 Poll last season. Note: We didn’t include schools whose coaches left after last season, like West Virginia, or schools whose recruiting data isn’t available on 247Sports from the season in which its current coach was hired, like Iowa. 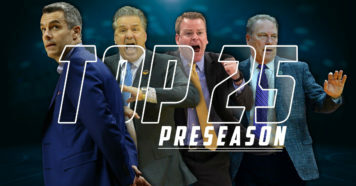 We used the rankings of the first full season in which these coaches held their positions in a full-time capacity. That means, for example, LSU Head Coach Ed Orgeron’s 2017 recruiting class is used, not 2016, when he replaced Les Miles as the Tigers’ interim head coach. When it comes to enrolling a highly ranked recruiting class in their first season on the job, Georgia Coach Kirby Smart is the standard bearer. The Bulldogs had the No. 6 recruiting class in 2016, according to the 247Sports Composite rankings, just ahead of LSU and Oklahoma’s No. 7 and No. 8-ranked classes assembled by Orgeron and Lincoln Riley, respectively, in 2017. Ohio State’s 2019 recruiting class in Day’s first year as head coach is ranked just behind Nick Saban’s first class at Alabama (No. 12 in 2007) and Dan Mullen’s first at Florida last season (No. 14), and tied with Brian Kelly’s first recruiting class ranking at Notre Dame. Recruiting at a high level is a prerequisite to making the College Football Playoff and the four teams that made last season’s playoff – Clemson, Alabama, Oklahoma and Notre Dame – hit the ground running in recruiting during the first seasons with their current head coaches. On average, those four schools had the No. 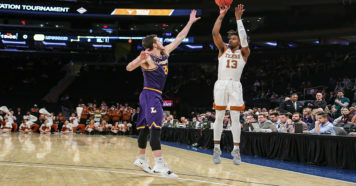 18-ranked recruiting class in the first season with their current head coaches, which includes Clemson’s 36th-ranked class in 2009, and they’ve continued to stack more, and higher-ranked, classes featuring four and five-star talent annually.